As part of the series of reforms introduced by the FCA and PRA which are aimed at improving accountability in banks, building societies, PRA investment firms and insurers, the FCA and PRA have announced a consultation on their proposals to introduce a mandatory form of employment reference (a regulatory reference). The intention of the reforms is to prevent the re-employment of individuals with poor conduct records. Responses to the consultation are due by 7 December 2015. The reforms will affect candidates applying for roles in a wide range of financial services and insurance firms; including senior management functions under the Senior Managers Regime; significant harm functions under the Certification Regime; PRA senior insurance management functions under the Senior Insurance Managers Regime; FCA insurance controlled functions; notified non-executive director roles within a Relevant Authorised Person, and key function holders within an insurer. Under the proposals, which will apply to all authorised firms, it will be a requirement that firms request regulatory references going back six years from former employers of candidates applying for Senior Management Functions, significant harm functions and Senior Insurance Management Functions, or other controlled functions within insurers. References will have to be sought even where the former employer was not an authorised entity and where the applicant is being recruited from within the firm or a group company. The reference must disclose any breach of the FCA and/or PRA Conduct Rules, Conduct Standards and Statements of Principle and Code of Practice for Approved Persons within the six year period. To the extent that the former firm, having given a reference, becomes aware of matters which would have led them to draft a reference differently, it will be required to update references given in the past six years. Authorised firms will be required not to enter into arrangements that conflict with the regulatory reference rules. If the proposals come into effect, there will be an increased responsibility on firms to undertake detailed due diligence before providing a reference. Firms will also have to monitor whether references need to be updated in light of information which later comes to light. This represents a significant departure from typical reference procedures which exist currently. The FCA and PRA have announced a new regime for whistleblowing in financial institutions. The regime will start to be phased in from March 2016. The new regulations will apply to UK deposit-takers with assets of £250 million or more, PRA-designated firms, and certain insurance and reinsurance firms. The FCA is considering whether the regulations should apply to other regulated firms such as investment firms, and until a decision is made the regulations will stand as non-binding guidance for those firms. The FCA and PRA will begin a consultation process on whether the regulations should also apply to UK branches of overseas banks. Whatever is decided, it is likely that the regulations will be seen as industry best practice and expected practice ñ even in respect of businesses to which they do not specifically apply. Firms will be required to present a whistleblowing report to the Board at least once a year. The report will not need to be made public, but will need to be made available to the PRA or FCA on request. A senior individual, who is a non-executive director subject to the Senior Managers Regime or the Senior Insurance Managers Regime must be appointed as a ìwhistleblowers championî. They will have oversight of the firmís whistleblowing procedures and the preparation of the report, although need not be involved in the day-to-day operations of whistleblowing procedures. Employees based in the UK must be informed about the existence of FCA and PRA whistleblowing procedures, and should be made aware that they can use these rather than the firmís internal whistleblowing services. Internally, a system must be established so that all types of disclosure, and not just specific disclosures which give whistleblowers protection under UK employment law and those relating to regulatory matters, can be handled from all types of person. Affected firms should consider whether specific training is required to make their whistleblowing arrangements more effective. Settlement agreements should not prevent protected disclosures from being made, and the regime will include a new prohibition against requiring an individual to confirm that they have not made a protected disclosure or they do not know of any information that could lead to them making a protected disclosure. Finally, the FCA must be informed if an affected firm loses an employment tribunal case where the case concerns an allegation that a whitleblower was treated less favourably. Importantly, although originally included in the proposals, the regime will not impose a regulatory duty on a firmís staff to whistleblow. Affected companies will need to appoint a whistleblowersí champion by 7 March 2016. The regime comes into force on 7 September 2016. Firms should review standard documents such as employment contracts and settlement agreements to ensure that they comply with the new regulations, and should update policy documents such as staff handbooks with regard to the firmís and the FCA/PRAís whistleblowing services. Consideration should be given to how the whistleblowing report will be organised. Firms should consider whether existing whistleblowing arrangements comply with the new regulations, and should consider whether training is required for staff. In our 22 October bulletin we reported on the Enterprise Bill, which includes proposals to amend the Insurance Act 2015 to create a right for policyholders to claim damages for late payment of claims. An attempt to convince the government to carve out reinsurance and ìlarge risksî has failed during the passage of the Bill through the Committee stage in the House of Lords. The Earl of Kinnoull (Charles Hay, who works for Hiscox) proposed an amendment developed in consultation with the LMA and the IUA, which would exempt reinsurance and ìlarge risksî from the scope of the claims payment provisions. The proposed definition of ìlarge risksî was that contained in Article 13(27) of Solvency II: broadly, business written for policyholders who satisfy two of the following three criteria - a balance-sheet total of Ä6.2 million, a net turnover of Ä12.8 million or more than 250 employees. Lord Kinnoull argued that the introduction of the Bill without amendments could lead to an ìunreasonable delayî cause of action being introduced as an extra element of many disputed claims, leading in turn to ìextra claims costs and a lot of aggravation for the insurers concernedî. The fear of the industry bodies was that this could divert capital away from London to other world centres. Conservative Peer Lord Flight was more bullish in his criticism of government policy saying ìI would not want to be the Minister who had pushed through the legislation that wrecked Londonís large premium insurance businessî. The international insurance market was described as ìself-policingî and ìwell-oiledî when it came to the need for prompt payment of claims. The debate shed some light on how the late payment of claims legislation came to be excluded from the Insurance Act: Baroness Noakes, who was a member of the Special Public Bill Committee which guided the Insurance Bill through Parliament, spoke of having been ìleaned onî by the Conservative Party not to press the issue and suggested that the government had deliberately scheduled the final debate for a day when she was not able to be in the House. She found this very disappointing as, other than the LMA and the IUA, she believed that the weight of opinion in the insurance industry was in favour of introducing late payment legislation. Baroness Noakes accepted that it was probably appropriate to exclude reinsurance but argued that late payment of a claim could mean the difference between survival and failure for a medium-sized company. Baroness Neville-Rolfe, for the government, said that expenses would increase and the placement process would be severely slowed down if underwriters had to identify which side of the ìcomplex and arbitraryî ìlarge-risksî boundary a prospective policyholder fell before writing the business. She described the proposed carve-outs as ìneither necessary nor appropriateî, pointing out that the clauses in question were the product of a lengthy Law Commission project involving years of engagement with the insurance industry and reminded the Committee that it would still be possible to contract out of consequential losses. She also commented that the proposed Solvency II definition would exclude many medium-sized businesses, the protection of which was precisely the target of the Bill as a whole. She rejected any suggestion that the London insurance market would be harmed by the new provisions and argued that, on the contrary, there was a gap in the legal regime that needed to be rectified and that it was in the UKís interest that the London Market was seen to be a good place to contract and a place where customers were paid on time. With no prospect of the amendments being passed, the Earl of Kinnoull withdrew them. However he indicated that he would be putting forward further proposals in relation to the reinsurance carve-out. This is likely to be at the report stage, which is scheduled to begin on 25 November 2015. The tenor of this debate suggests that the government has little time for any proposals which will increase the complexity of its late payment legislation. Having seemingly decided to disregard the controversy which led to exclusion of the clauses from the Insurance Act and reintroduce it via the back door they seem now to be set on a one-size-fits all approach justified by an overriding concern for businesses other than insurance companies. However it may still be possible to protect the reinsurance market from the ìaggravationî predicted by the LMA and IUA. We will follow with interest and report on developments. For more information, please contact Ashleigh Williamson, Professional Support Lawyer, on +44 (0)20 7264 8311, or ashleigh.williamson@hfw.com, or your usual contact at HFW. Proposed government legislation to introduce a new insurance linked securities (ILS) framework to the UK was considered by the House of Lords on 11 November 2015. The proposals are contained in amendments to the Bank of England and Financial Services Bill. The aim of the amendments is to give powers to HM Treasury to make regulations for creating and regulating structures required for ILS business, and would allow Treasury ministers to make regulations for all aspects of ILS activities. Specifically, the Treasury would be granted the power to make regulations in relation to the establishment and operation of the transformer vehicles, the special purpose vehicles used in ILS transactions, and in relation to the trading of investments issued by such vehicles. The proposals have been welcomed by the insurance industry, and are widely seen as a vital step in developing the legal and tax frameworks which are necessary if London is to become a centre for ILS activities. Specifically, it is proposed that Lloydís will be granted powers to regulate transformer vehicles used in ILS transactions. It follows that the proposals would in time lead to Lloydís entities being permitted to create ILS vehicles. The London Market Group ILS taskforce is initially focussing on collateralised reinsurance business rather than catastrophe bonds, which are already established in other ILS domiciles such as Bermuda. If London is to attract ILS business, creating the necessary legal structures is evidently important. However, a key question arises as to how investors will be taxed. The London Market Group ILS taskforce has been working alongside HMRC to set up a mechanism by which the UK would be able to compete with other low tax ILS domiciles. Reports indicate that officials are considering a scheme by which investors would be taxed when they exit the ILS structure, with the applicable tax regime being that of the investorís domicile and the location of the exposure. Such a structure would potentially allow investors to take advantage of a more favourable tax regime, without the need to reduce UK tax rates. Specifically, a non UK-domiciled investor providing capital to insure a risk outside the UK would not be liable to UK tax. England and Wales: Cavendish Square Holding BV v Talal El Makdessi and ParkingEye Limited v Beavis: what is considered a penalty clause? The parties to a contract may include a clause that provides that, in the event of a breach, the breaching party shall pay a specified sum to the innocent party. If such a clause satisfies the legal definition of a penalty clause, the amount specified is not recoverable. Instead, the innocent party must prove its actual losses in order to claim damages. If the clause is a valid liquidated damages clause, it is enforceable irrespective of the loss actually suffered. The first case, Cavendish Square Holdings BV v Talal El Makdessi involved an agreement for a share sale from Talal El Makdessi (Makdessi) to Cavendish Square Holdings BV (Cavendish). It included two clauses to protect Cavendish against competitive activity. The first was in reality a price-adjustment clause, regulating the measure of compensation for breach of restrictive covenants. The second required a defaulting shareholder to sell shares at a substantially reduced price, which did not factor in goodwill. The second case, ParkingEye Limited v Beavis, concerned a charge for overstaying the free period of parking in a car park. The question to be decided in both cases was when a contractual provision should be considered to be penal. The majority of the Lords felt that the law to date had categorised penalty clauses artificially, and it was unsatisfactory to say that a liquidated damages provision was either a penalty or a deterrent which genuinely pre-estimated the loss. In particular, the four tests in a speech by Lord Dunedin in Dunlop and applied repeatedly in subsequent cases had too often been treated as a code when in fact they should be treated as considerations, not rules. That said, they did contain the essence of the test to determine if a liquidated damages clause was penal i.e. whether the provision was a ìsecondary obligation which imposes a detriment out of all proportion to any legitimate interest of the innocent part in the enforcement of the primary obligationî. To determine whether a liquidated damages clause was penal required an understanding of the nature and extent of the innocent partyís interest in the performance of the relevant obligation. In less straightforward cases, a broader approach had been preferred: it was not confined to considering the compensation awarded by the clause but also any wider interest for which the clause was intended, such as protection of brand, reputation or good will. The true test should be whether the detriment caused to the contract breaker by paying the sum specified was in proportion to the legitimate interest of the innocent party in enforcing the obligation breached. Consider whether a legitimate business interest is served and protected by the clause breached. Consider whether the provision to protect such interest is extravagant, exorbitant or unconscionable. It was held that none of the clauses considered were penalty clauses. In Cavendish, the clauses were viewed as a package and intended to protect the business as a whole. The price-adjustment clause was carefully negotiated between informed and legally advised parties at armís length. The second clause, although forcing transfer of assets without adequate consideration was viewed in the context of being part of the mechanism that brought to an end the shareholder relationship, reshaping the primary relationship, and was a ìnaturalî provision to include. In ParkingEye although there were no ascertainable damages, the charge was seen as an understandable ingredient in a scheme serving legitimate interests. This case has replaced a somewhat blunt-instrument test with a more sophisticated analysis which makes it likely that fewer liquidated damages clauses will now be considered unenforceable penalty clauses (although it was acknowledged that in the case of a straightforward damages clause, the interest rarely extends beyond compensation for actual losses suffered). The application of the penalty rule will still turn on questions of drafting. Parties agreeing liquidated damages clauses should consider setting out specific details of the legitimate interest which the clause serves to protect and take care to ensure that the amount is not unconscionable or extravagant by reference to some norm. HFW is delighted to announce that our Dubai insurance and reinsurance team was recently awarded the Law Firm of the Year Award at the Middle East Insurance Industry Awards 2015. 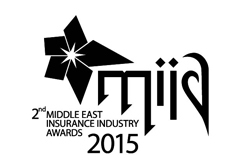 The award, which was judged by an independent panel of industry experts, recognises HFWís outstanding contribution to the MENA insurance industry in areas such as commitment to education and professional development of the market; participation in industry committees and councils; service flexibility and efficiency; and evidence of pro bono work for the industry. In direct response to client needs, we have grown our Middle East insurance and reinsurance practice significantly over the last year, including relocating experienced lawyers from our London team, recruiting talented local lawyers and, in light of the increasing regulatory landscape in the Middle East and as part of our commitment to the development of the insurance sector in the region, we launched a dedicated corporate and regulatory insurance practice in January 2015. We are delighted to have received this award which is recognition from the insurance and reinsurance industry of the hard work and dedication of the entire team. Iran sanctions: is the end in sight? HFW have published a briefing1 on the recent EU and US legislation and waivers which give additional clarity about the precise extent of sanctions relief which will follow once Iran complies with its commitments pursuant to the Joint Comprehensive Plan of Action. The briefing explains the EU measures and the US waivers, and provides some recommendations for businesses which are considering opportunities in Iran. For more information, please contact Daniel Martin, Partner on +44 (0)20 7264 8189, or daniel.martin@hfw.com, or Anthony Woolich, Partner on +44 (0)20 7264 8033, or anthony.woolich@hfw.com, or Elena Kumashova, Associate on +32 (0) 2 643 34 13, or elena.kumashova, or your usual contact at HFW. On Thursday 12 November, HFW Partners Costas Frangeskides and Pierre-Olivier Leblanc, Senior Associate Ruth Hite and Associates Edward Rushton and William Reddie attended the IRLA Annual Members Dinner.